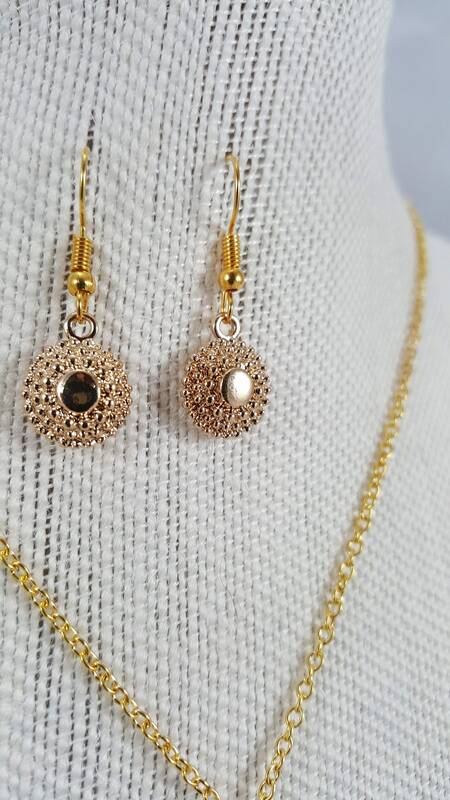 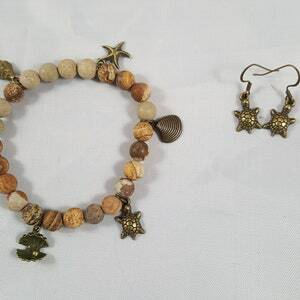 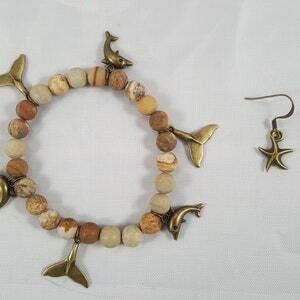 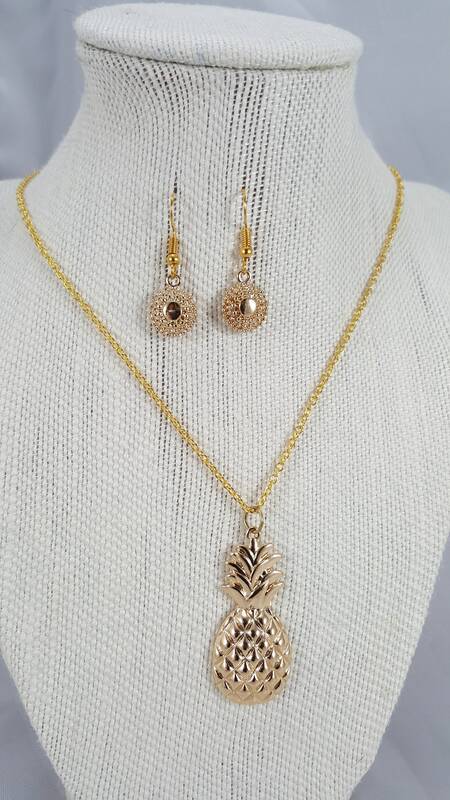 20 Gold necklace with a 13/4 gold Pineapple pendant with 1 round starburst medallions on fishhook earrings. 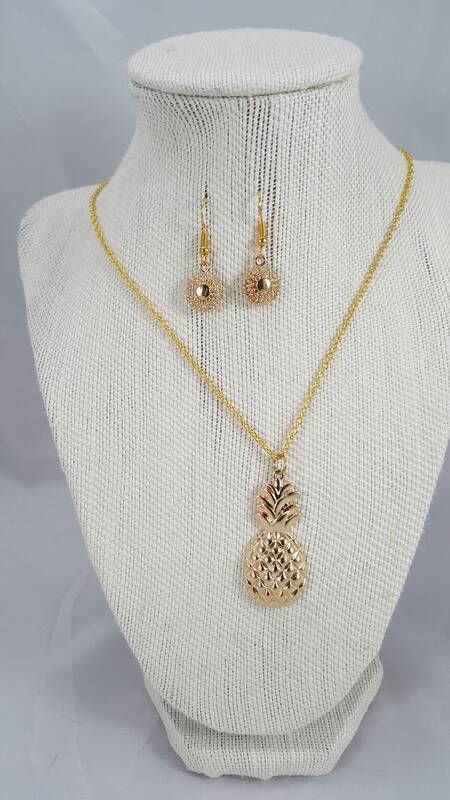 The Golden pineapple necklace, 20” gold plated Chain with 1” 3/4 pineapple pendant and starburst pendant earring with good hooks for pierced ears. 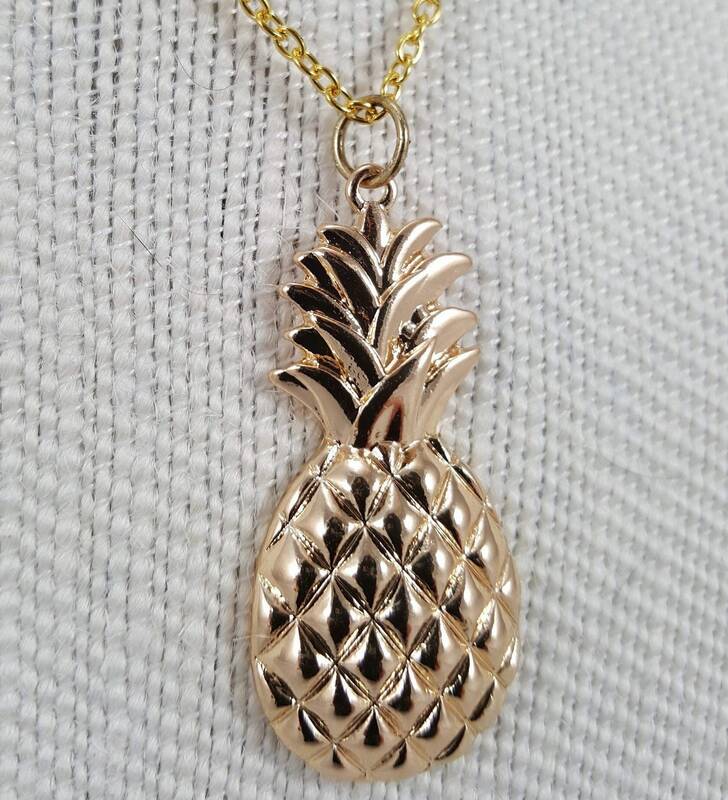 Pineapple can strengthen spiritual power, psychic experience, and intuition. 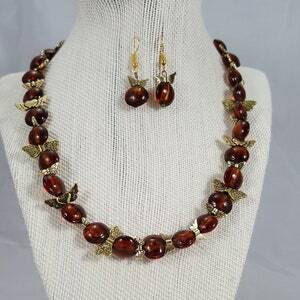 They can increase confidence and chance of success. 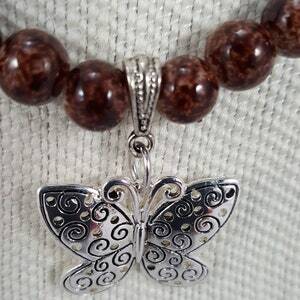 Its energy can strengthen will-power and self-esteem. 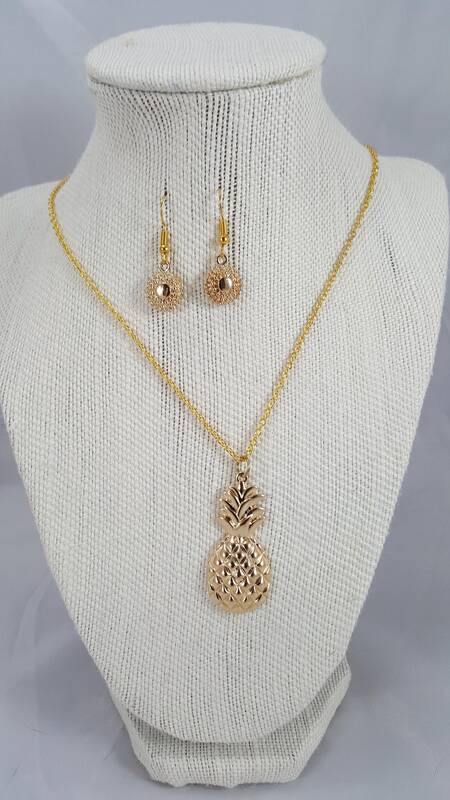 Pineapples are also associated with youthfulness, immortality and regeneration.